That’s right . . . 207 recipes left. I have until the end of January to finish all these recipes. I’ve got this. Tonight I took it easy. Chorizo para Tostadas from Zacatecas. 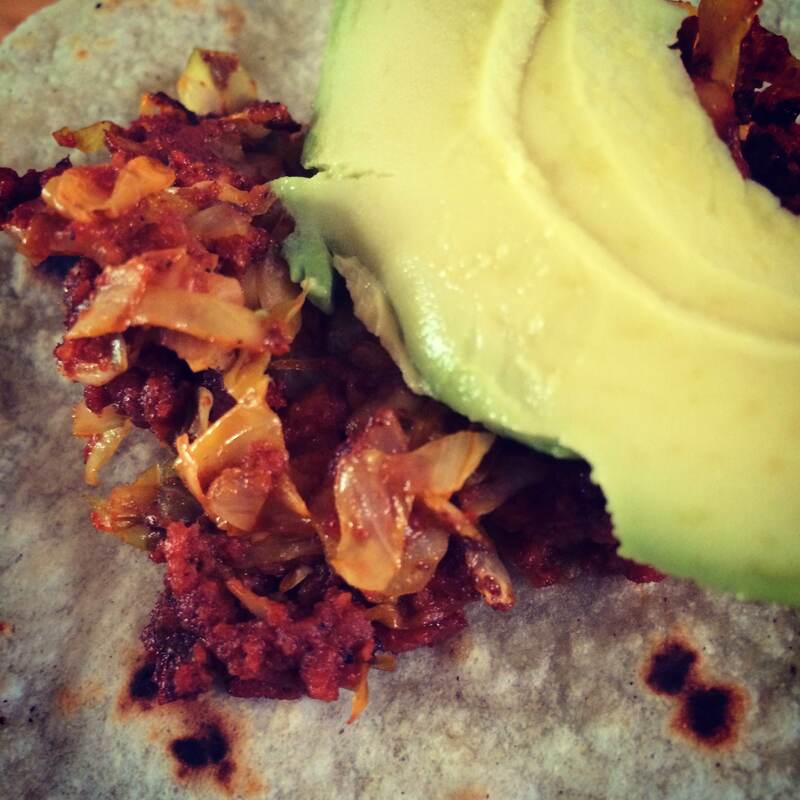 There were two ingredients: chorizo and cabbage. That’s really all you need to have a great taco or tostada. I opted for the taco tonight since I fried empanadas the night before. I just added a couple of avocado slices to it and chowed down. Full and satisfied and now taking it easy, watching reruns of Friends on Netflix. A great Tuesday night.